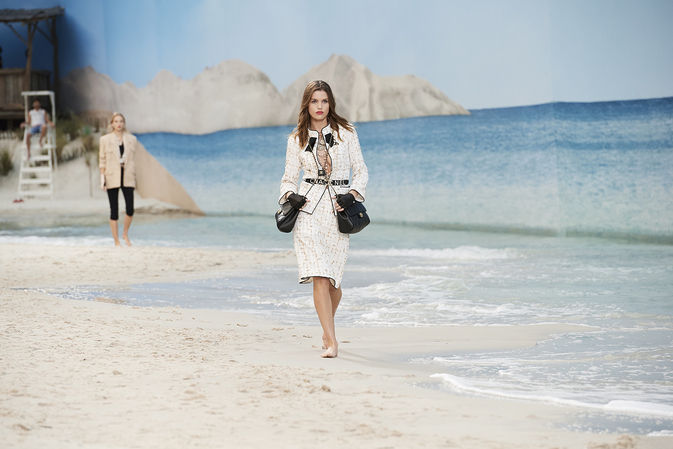 For Chanel’s Spring/Summer collection, Karl Lagerfeld took guests on a trip to the beach, creating an entire beach inside the Grand Palais in Paris. The Chanel Spring/Summer 2019 show invite was the first clue to the show’s theme, designed to look like a two-tone parasol. 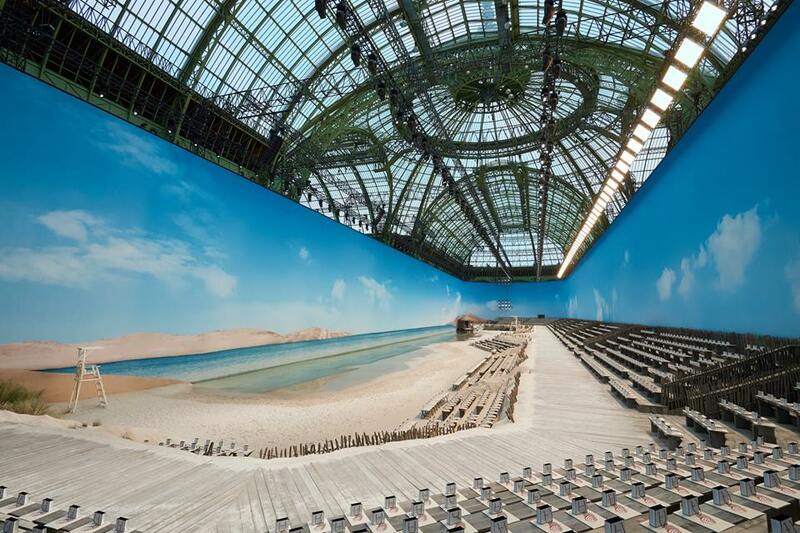 The show’s set – inside the Grand Palais in traditional Chanel style – was a beach. 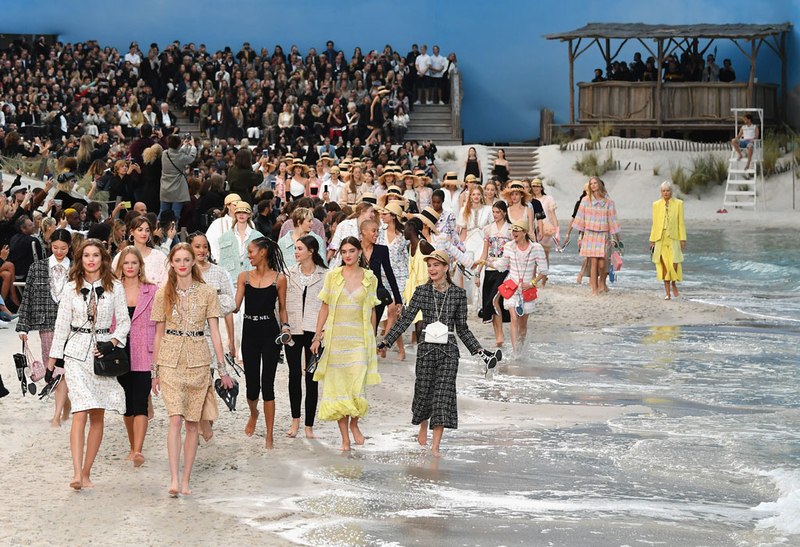 Guests were seated on the sand, on top of wood pallets, to see the models saunter across the sand in time with the waves (yes, actual waves), under the watchful gaze of Chanel’s lifeguards. 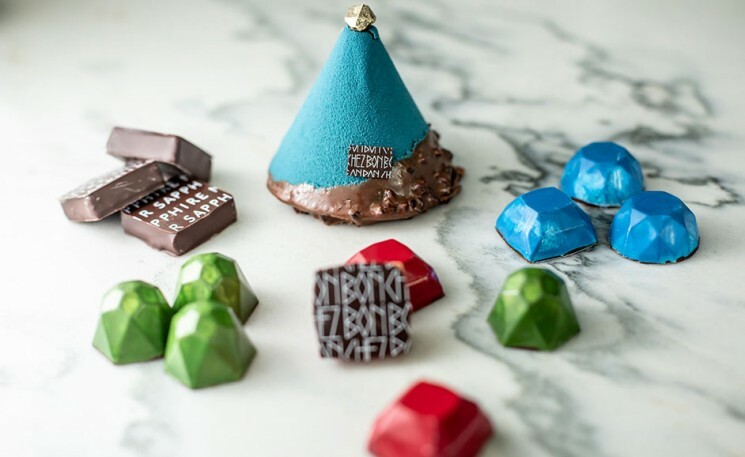 A set that mimicked reality, you could almost forget Paris’ grey skies under the blue sky with your feet in the sand. Luna Bijl opened the Spring-Summer 2019 show wearing an emblematic look of the collection: a sequin-embroidered tweed suit with two bags crossing on each hip for a new way of being carried, along with statement Chanel accessories.